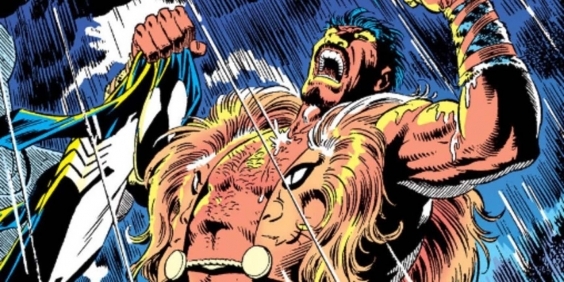 With Venom currently breaking records at the box office, it seems that Sony’s Universe of Marvel Characters is a go, which means that writer Richard Wenk is pushing forward on the planned Kraven the Hunter movie. Though the project is still a long way from reaching cinemas, the Equalizer scribe has divulged a few more details on the big screen debut of Spider-Man’s old villain, including news that he plans for the the web-slinger himself to make an appearance. How Sony would pull this off is currently unclear. Though Venom director Ruben Fleischer has previously stated that he hopes to see Eddie Brock cross paths with Tom Holland’s interpretation of Peter Parker, we’ve yet to see any definitive signs that such an MCU crossover would be a legitimate possibility. Both Fleischer and his star Tom Hardy have been quick to remind fans that this new spider-verse is being treated as a relatively self-contained world that operates independently from the latest adventures of Peter Parker. In any case, while Venom remains a solitary antihero in this movie timeline, it’s clear that Sony has big plans for this franchise’s future in which Kraven the Hunter is only one part, with names like Nightwatch and Silk being thrown around, not to mention the troubled Silver & Black project and Jared Leto’s Morbius, the Living Vampire flick. Stay tuned for further updates, though, of which there will surely be many if Venom’s box office success continues.